July proved to be another good month of reading, with 12 books and three that I’d recommend. My top picks for July are: “The Introvert’s Edge”, “Lost Connections”, and “Emotional Success”. 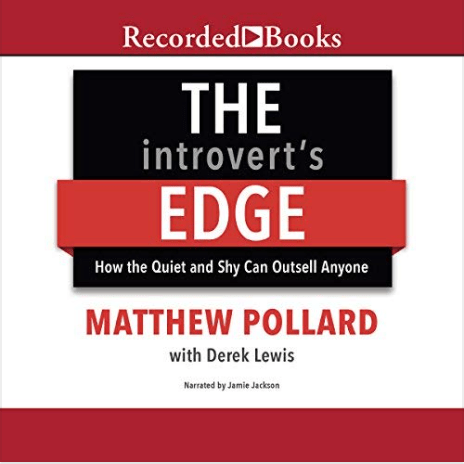 “The Introvert’s Edge” really surprised me. It’s marketed as a sales book, but it’s a really insightful investigation into the mind and experience of an introvert. The premise of the book, is that with practice, an introvert can become a far better and more consistent salesperson than an extrovert. There are a great many takeaways in this book, and I’d highly recommend it. “Lost Connections” is a fascinating look at depression. It will challenge many of your preconceived ideas of what depression is, and how to treat it. This book is very much in alignment with my personal experience and the research I’ve read on depression. Great book. My least favorite book of the month was “How to Lose a Marathon” by Joel Cohen. This book could be better titled “How to Lose an Audience”. It’s snarky to the point that you just can’t take any of it seriously. I wouldn’t call it a work of comedy, because it’s just not funny. The author tries way to hard to make it funny, and fails miserably. June proved to be a good month of reading, with 12 books and three that I’d recommend. My top picks are “Altered Traits”, “Building a Story Brand”, and “Wired for Dating” – The first is about the benefits of meditation on the brain, the second is about the importance of telling a story rather than selling a product, and the third is about attachment theory and how to be successful in relationship. 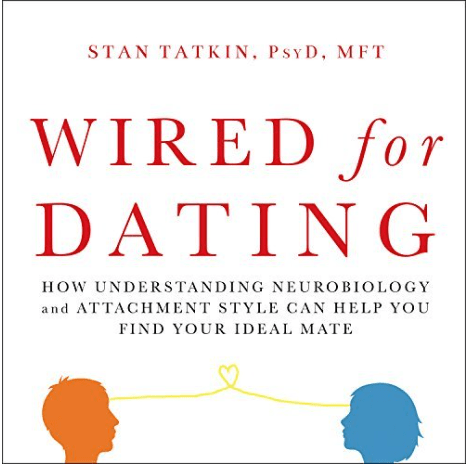 Of my three 4 star books, I’d have to give “Wired For Dating” the nod for best listen. This is a really insightful book, delving into the nature of attachment, and how it plays out in adult relationships. If you want to better understand what pulls your strings, and those of your partners, past and present, read this book. My least favorite book of the month was “Bluefishing” by Steve Sims. It’s essentially a book written by an extreme extrovert, who encourages everyone to be fearless in their social engagements. It’s like Shaquille O’Neal encouraging people to be 7’1″ in order to be better at basketball. There is very little, if any value in this book . May proved to be a leaner month of reading, as I took on some rather long, intellectually challenging books. Of the eight books that I listened to, there are two that I’d recommend. My top pick is “Explaining Postmodernism” by Stephen Hicks, which I’m giving 4.5 out of 5 stars. If you want to understand the rise of postmodernism, and what its impact on our culture is (and could be in the future), this book is an important read. As truth becomes less and less relevant in our social and political conversations, knowledge of the genesis of this phenomenon becomes increasingly relevant. The biggest letdown of the bunch was Reality is Broken”, by Jane McGonigal. It seems that Jane is ready to throw in the towel on unaided human existence, and get us wired up to be a species of virtual creatures in the future. We are just beginning to learn how to be better, more effective, more compassionate human beings, through advances in neuroscience, cognitive psychology, and collaborations with scientists and Buddhist practitioners… but Jane has no interest in being a better human as a human… she longs to escape into the virtual world of gaming. April provided me with ample opportunity to get lost (found) in books on my long boot slogs through the Vermont wilderness. I managed to listen to fifteen, six of which are definitely worth checking out. My top pick (and given a very rare ***** rating) is “On Tyranny” by Timothy Snyder. This book is both an insightful look into the foundations of tyranny, and a frightening description of how far we are down that road already. In my opinion, this is a must read for anyone that wants to make sense of our current political climate here in the U.S., and more importantly, for anyone that has the courage to take a stand against authoritarianism. The biggest letdown of the bunch was “Living with a Seal”, by Jesse Itzler. It’s an overdramatized account of what it’s like to have David Goggins as your roommate and coach, and a great example of how NOT to get in shape, or change your habits. Don’t waste your time or money on this one. While March was a challenging month for reading, due to my race directing the U.S. National Snowshoe Championships, I still managed to listen to five books, three of which were quite long, and technical. Of these five, ‘The Strange Order of Things’, is my top pick, with ‘Enlightenment Now’, coming in a close second. Both of these books are very important reads, and if you don’t mind taking your time, to wade through LOTS of quite technical information, you will come out the other side with some very useful, and currently applicable perspectives. In the past, I’ve given quite high marks to any book written by Nassim Taleb (Antifragile, The Black Swan, and Fooled by Randomness), due to principles that relate quite well to what I’ve learned as an athlete, and practical knowledge seeker, but ‘Skin in the Game’, is filled with just as much vitriol, as it is with mind-opening content. When not engaged in ad hominem attacks on other thinkers, Taleb makes some very good arguments, and describes a foundational philosophy that resonates quite strongly with how the world has shown up for me. It’s a good read, for sure, but you have to look past his arrogance and pejorative dismissal of differing viewpoints, in order to see the value in his ideas, as they stand on their own merit. One book in the above list, that I would strongly recommend that you NOT spend your money or your time on, is ‘Solve For Happy.’ The author purports to have used the principles of engineering to create an equation that solves for ‘happy’, and this definitely piqued my interest, but the book fails to deliver. More insidiously, this book is actually a bait and switch gimmick, that quickly discards the empirical rigor of an engineer, and replaces it with the hopeful spiritual beliefs of the author, and the presenting of his son as an infallible, almost Christ-like figure. I’m not sure what the author’s intentions were in writing the book. If they were to understand the grief that he experienced at the loss of his son, then I wouldn’t mind. But he seems to go far beyond that… entering into the territory of messiah creation, and apologetics. In any case, this book is all over the map, and fails to offer anything of lasting value.